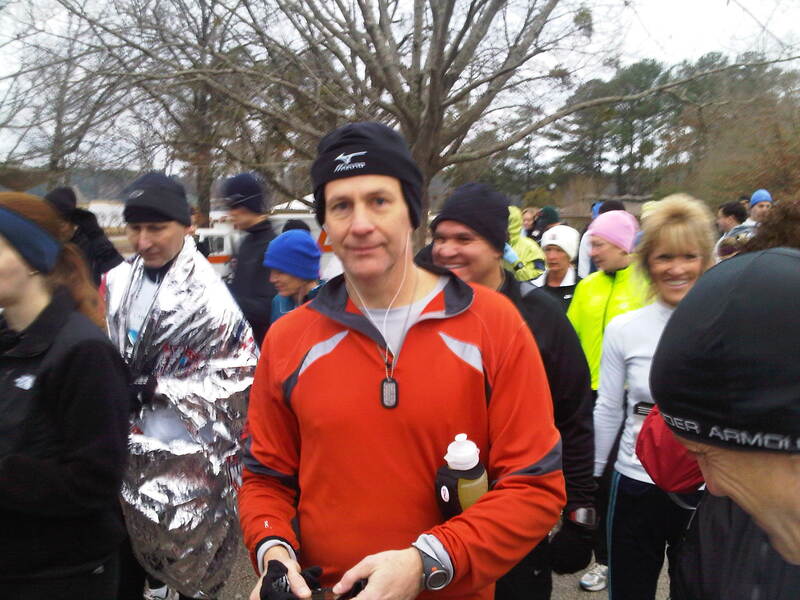 Training only 31 days for the Callaway Gardens Marathon and doing a sub-4:30 will always be special to me. I don’t know about you, but an 18 week training plan is just too much for my busy schedule. This 31 day plan had 2 long runs greater than 10 miles – 17 and 18 milers. Obviously, I wasn’t shooting to break my PR of 3:48:02. My primary goal was simply to complete my 9th 26.2. Last year I trained for 44 days for The Flying Pig Marathon in Cincinnati, Ohio. My ultimate goal is a 21 day training program with only one long run. That would rock! I’ve run the Callaway Gardens Half Marathon 2 times, so I knew what to expect: a well organized, < 500 runners (~100 marathoners), beautiful paths, hilly, no cheering spectators, and no amenities. But I’m at a point where small races suit me just fine. I have run the big ones: Chicago, New York City, Boston, Georgia, The Flying Pig, Big Sur. After I ran the Saint George Marathon in 2007 (~6500 runners), I realized that small was better. In 2008 I ran a local marathon the Darkside Marathon with only ~15 finishers. That race was probably too small, but I enjoy the no pressure atmosphere. 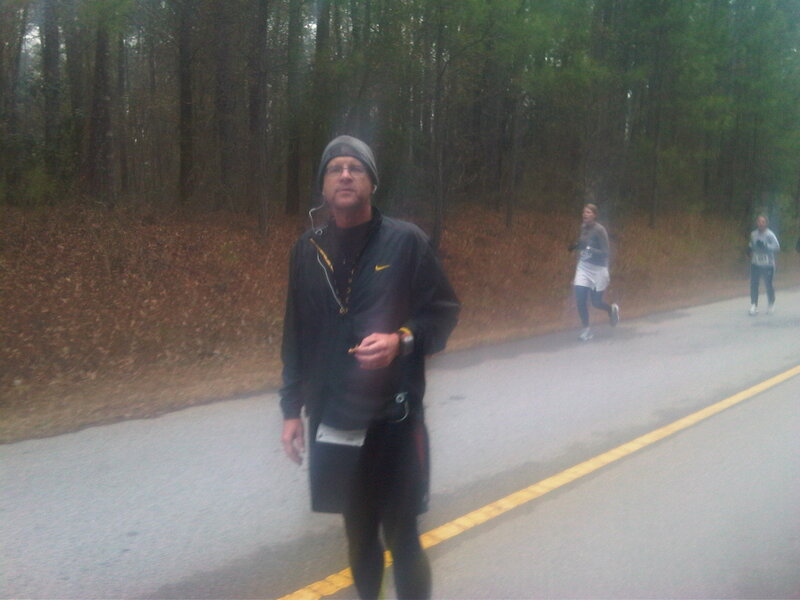 Back to Callaway ….. 2 laps, 25 degrees, lots of hills, 100 marathoners, and only 31 days of training. Get the picture. Overall I felt okay. My best case goal was to run the CGM in less than 4:30, which I did by less than 2 minutes! Splits were: 1) 10.00; 2) 9.12; 3) 9.14; 4) 9.43; 5) 9.02; 6) 14.14 [food and bathroom break]; 7) 10.03; 8] 10.41; 9) 8.46; 10) 9.01; 11) 9.10; 12) 9.53; 13) 8.47; 13.1) 2.09.30; 14) 10.12; 15) 9.25; 16) 9.10; 17) 9.15; 18) 9.43; 19) 14.25 [bathroom break]; 20) 10.59; 21) 10.42; 22) 10.23; 23) 10.29; 24) 10.38; 25) 12.01; 26) 9.57; .2) 2.00. Callaway was very difficult due to the hills. I liked the smallness of it and the beauty of the trails we ran on. This is a marathon (or half marathon) worth doing. I’m glad Alan Reynolds ran this event with me. It was great running with him and it made the marathon go by much faster during the miles we ran together. 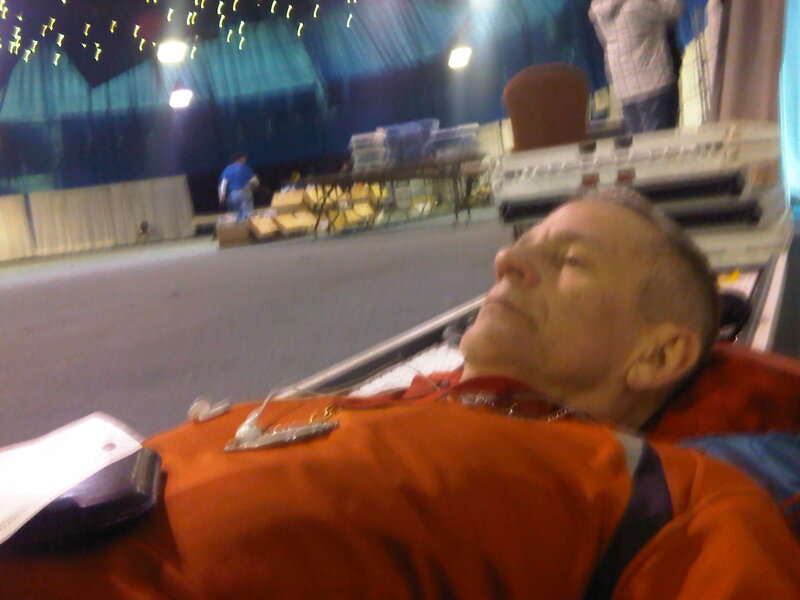 This was Alan’s 6th marathon. I’m looking for a February marathon. Any ideas? Who’s in?